The WISeNet Advisory Board includes distinguished researchers from International academic and research institutions who lead required laboratory and field experiments, and establish lifelong mentorship with the trainees, starting from when they join the program, to long after they enter the workforce. Prof. Marconi graduated in 1995 in Electrical Engineering from the University of Bologna. 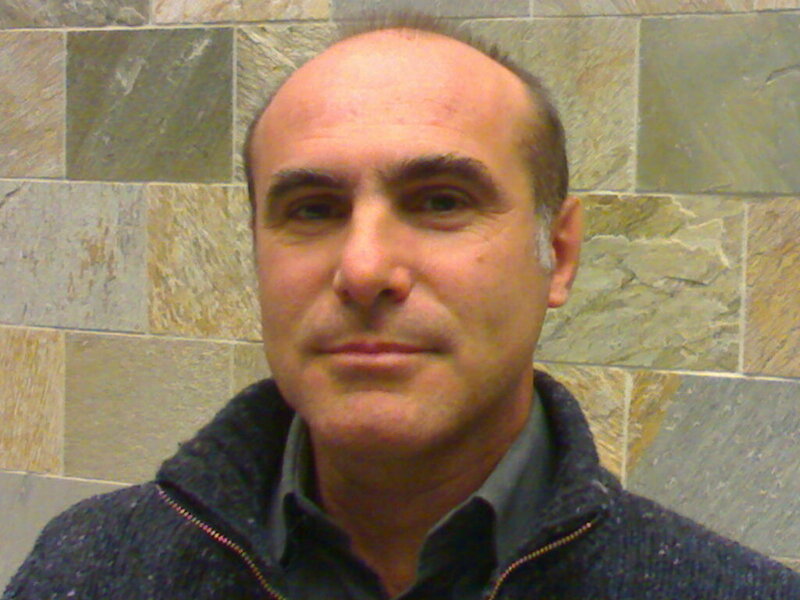 Since 1995 he has been with the Department of Electronics, Computer Science and Systems at University of Bologna, where he obtained his Ph.D. degree in March 1998. From 1999 he has been an Assistant Professor in the same Department where is now Associate Professor since January 2005. He has held visiting positions at various academic/research international institutions. He is co-author of more than 100 technical publications on the subject of linear and nonlinear feedback design published on interna- tional journals, books and conference proceedings. In 2005, he received the Outstanding Application Paper Award" from the International Federation of Automatic Control (IFAC) for a co-authored paper published on Automatica. He is member of the IEEE Control System Society, of the Control System Society Conference Editorial Board and of IFAC Technical Committees on Nonlinear Control Systems" and Safety and Supervision in Technical Processes". His current research interests include nonlinear control, output regulation, control of autonomous vehicles, fault detection and isolation, fault tolerant control. Prof. Marconi is also the Director of the Center for Research on Complex Automated Systems (CASY) at University of Bologna (Italy), and will serve as host and key point of contact for the “Integrated Sensor Path Planning and Control” experiment option for IGERT fellows. He is co-author of more than 100 technical publications on the subject of nonlinear control, output regulation, control of autonomous vehicles, fault detection and isolation, fault tolerant control. Marconi is EU Project Coordinator on the €3.6 million project on AI Robotics, involving 24 researchers at universities across Europe. The project covers development of aerial service robots whose basic technologies can be adapted with minimal efforts to support human beings in a wide array of applications that require the ability to interact with environments otherwise un-accessible by ground robots. This includes the development of two aerial prototypes and to prove their effectiveness in mock-up environments. Through the “Integrated Sensor Path Planning and Control” experiment, WISeNet trainees can propose experimental elements to complement this ongoing project during their international experience. Professor and Dean, School of Architecture, Civil, and Environmental Engineering (ENAC), École Polytechnique Fédérale de Lausanne (EPFL), Lausanne, Switzerland. Marc Parlange is Professor and Dean at the Ecole Polytechnique Federale de Lausanne (EPFL) in the School of Architecture, Civil and Environmental Engineering. His research concerns hydrology and fluid mechanics in the environment with particular focus on the measurement and simulation of Alpine water resources and micrometeorology. He obtained his MS and PhD at Cornell University. Formely, Parlange was a professor Johns Hopkins University and UC Davis, and Chair of the Department of Geography and Environmental Engineering at Johns Hopkins University. He has been Editor-in-Chief of Water Resources Research, and has been awarded the prestigious Macelwane Medal by the American Geophysical Union and the Dalton Medal by the European Geophysical Union. Prof. Parlange is also the Director of the Laboratory of Environmental Fluid Mechanics and Hydrology (EFLUM) at EPFL, and serves as the host and key point of contact for the “Modeling and Prediction of Climate Impacts on Snow and Ice” experiment option for the WISeNet trainees. Parlange and his team manage an extensive alpine experimental facility, which includes networks of wireless sensors across high alpine Swiss glaciers. The sensors monitor soils, snow and ice pack, and the lower atmosphere. This is the first facility to capture down-slope atmospheric flows resulting from density driven katabatic instabilities and the impact of the corresponding energy flows on melt and runoff production to stream and river floods. Colleagues of Marc Parlange have spun off a private company, SensorScope, from these efforts that also interacts with the trainees during their research experience. Professor, Department of Hydraulic, Maritime, Environmental and Geotechnic Engineering, University of Padova, Padova, Italy. Prof. Lanzoni holds a degree in Civil Engineering with honors and a Ph.D. in Hydrodynamics from the University of Padova. He is also Director of the PhD School of “Civil and Environmental Engineering Sciences” at the University of Padova. Since 2012 Prof. Lanzoni has been a member of the GII National Committee for coordinating the hydraulic curricula of Italian PhD Schools. He was also the Director of the Hydraulic Laboratory for the Department of Hydraulic, Coastal, Environmental and Geothecnical Engineering at the University of Padova from 1998 to 2007. Prof. Lanzoni has authored and co-authored more than 40 peer-reviewed articles in international journals, 35 scientific presentations, which appear in conference proceedings, and co-authored four book chapters. Prof. Lanzoni’s research interests include fluvial morphodynamics (alternate bar dynamics, sediment waves, planform evolution of meandering rivers, sediment transport, dynamics of solid-liquid mixtures), tidal morphodynamics (hydrodynamic of estuaries; longitudinal equilibrium profile and cross-section of tidal channels; flow field and morphologic characteristics of tidal meanders; mathematical modeling of tidal environments; tidal networks; eco-morphology), and hydrodynamics (stability of stratified flows; hydrodynamic dispersion; hydraulics of bed intake grids). He serves as host and key point of contact for the “Sea-level Rise Mitigation and Adaptation Measures” field experiment option for the WISeNet trainees. Professor and Director, Intelligent Systems Research Center (ISRC), University of Ulster, Magee campus, Londonderry, UK. Martin McGinnity has been a member of the University of Ulster academic staff since 1992, and holds the post of Professor of Intelligent Systems Engineering within the Faculty of Computing and Engineering. He has a first class honours degree in physics, and a doctorate from the University of Durham, is a Fellow of the IET, senior member of the IEEE, and a Chartered Engineer. He has 30-years experience in teaching and research in electronic and computer engineering and was formerly Head of School of Computing and Intelligent Systems at the University's Magee campus. More recently he held the post of Acting Associate Dean of the Faculty of Engineering with responsibility for Research and Development, and Knowledge and Technology Transfer. He was a founding member of the Intelligent Systems Engineering Laboratory at the Magee campus of the University, and is currently Director of the Intelligent Systems Research Centre, which encompasses the research activities of over 75 researchers. He is also currently a Director of the University's technology transfer company, UUTech, and the University spin-out company, FLex Language Services Ltd. He is the author or co-author of over 200 research papers, and has been awarded both a Senior Distinguished Research Fellowship and a Distinguished Learning Support Fellowship by the University in recognition of his contribution to teaching and research. Prof. McGinnity’s current research interests are focused on computational intelligence and the creation of bio-inspired intelligent computational systems in general, particularly in relation to hardware and software implementations of biologically plausible artificial neural networks, fuzzy systems, genetic algorithms, embedded intelligent systems utilizing re-configurable logic devices, brain computer interfacing and intelligent systems in robotics. Prof. McGinnity serves as host and key point of contact for the “Intelligent Robotic Games” laboratory experiment option for the WISeNet trainees. As Director of the UUTech and Flex Language Services, he also brings a strong industry perspective to mentoring of trainees. Ingo Fischer received his Diploma and Ph.D. degrees in physics from Philipps University, Marburg, Germany, in 1992 and 1995, respectively. He was an Assistant Professor and Senior Scientist at Technical University of Darmstadt, Germany, from 1995 to 2004, and at the Vrije Universiteit Brussel, Belgium, from 2005 to 2007. During these periods he had research visits or guest professor invitations at Nonlinear Optics Center, Albuquerque (NM), USA, at ATR Advanced Communications Research Laboratories, Kyoto, Japan, and at the Universitat de les Illes Balears, Palma de Mallorca, Spain. In 2007, he became a Full Professor and Chair in Integrated Systems in Photonics at Heriot-Watt University, Edinburgh, U.K. Since 2009, he has been a Professor (CSIC) at the Institute for Cross-Disciplinary Physics and Complex Systems IFISC (UIB-CSIC) in Palma de Mallorca, Spain. Dr. Fischer is the Head of the Nonlinear Photonics Laboratory at IFISC and the Head of the University Research Group on Experimental Physics of Complex Systems. His current research interests include nonlinear photonics, unconventional information processing and neuroscience. This includes the emission properties and dynamics of modern photonic sources, coupled laser systems, synchronization of lasers and neurons, neuro-inspired information processing and utilization of chaos. 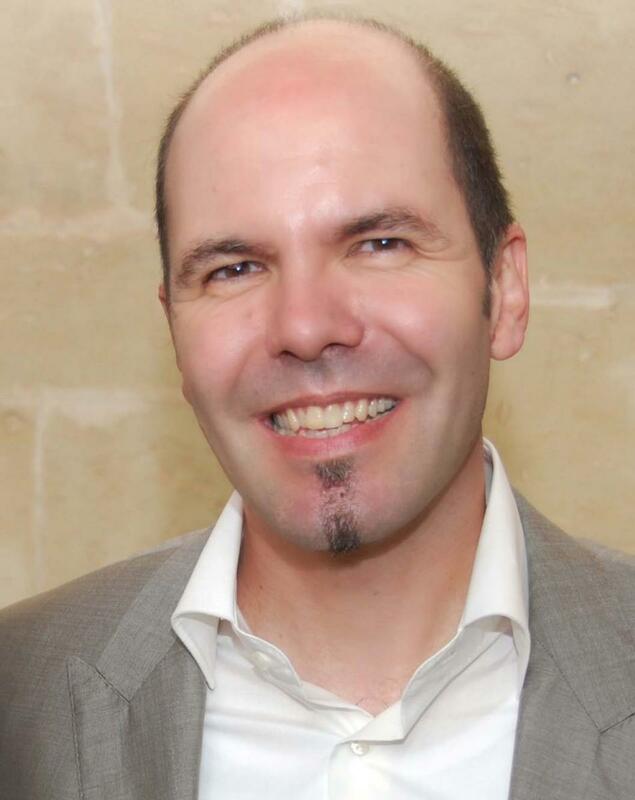 He has been Principal Investigator of 17 national and international research projects and co-initiated the European FP7 project PHOCUS: Towards a PHOtonic liquid state machine based on delay-CoUpled Systems. He has published more than 80 papers in peer-reviewed journals which have been cited more than 2900 times. In 2000, he received the Research Prize of the Adolf-Messer Foundation, and in 2004 the first Hessian Cooperation Prize of the Technology Transfer Network. Dr. Fischer serves as host and key point of contact for the "Implementing Neuro-Inspired Computing for Sensing and Information Processing" laboratory experiment option for the WISeNet trainees. 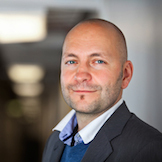 Prof. Achim Lilienthal is head of the Mobile Robotics and Olfaction Lab at AASS, Örebro University, Sweden. His main research interests are mobile robot olfaction, rich 3D perception, robot vision, and safe navigation for autonomous transport robots. 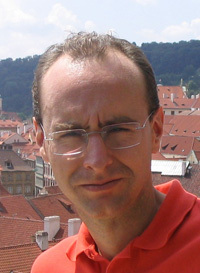 Achim Lilienthal obtained his Ph.D. in computer science from Tübingen University, Germany and his M.Sc. and B.Sc. in Physics from the University of Konstanz, Germany. The Ph.D. thesis addresses gas distribution mapping and gas source localisation with a mobile robot. The M.Sc. thesis is concerned with an investigation of the structure of charged C60 clusters using gas phase ion chromatography.